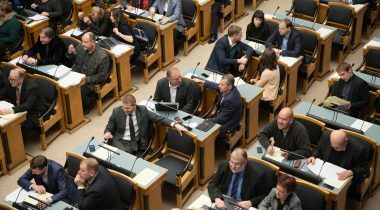 At Wednesday’s sitting of the Riigikogu, the Bill intended to improve the availability of fast Internet connection in rural areas through a reduction of installation costs for the optical cable, initiated by six members of the Riigikogu, passed the second reading. 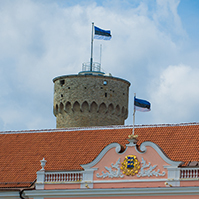 The aim of the Bill on Amendments to the Electricity Market Act and Amendments to Other Associated Acts (270 SE), initiated by members of the Riigikogu Mihhail Stalnuhhin, Andres Ammas, Henn Põlluaas, Andres Metsoja, Tanel Talve and Kristjan Kõljalg, is to ensure access to physical infrastructure suitable for deploying broadband networks, that is, electricity poles belonging to the electricity distribution network operator. In order to take broadband connections to homes, businesses and authorities, the existing electricity poles and other infrastructures will be co-deployed with a view to installing communications network elements. The current Electricity Market Act does not provide for an obligation to grant use of the distribution network infrastructure. According to the Bill, a distribution network operator will have the right to a refund of direct costs related to the provision of access to its physical infrastructure, in particular the costs of repairs and elimination of faults, from the owner of the optical cable networks. Member of the Economic Affairs Committee Erki Savisaar said that the Economic Affairs Committee had decided that a manager of electricity poles does not have the right to ask rent for the Internet cable because the consumer pays the network administration costs in the form of network charges anyway, and double taxation was not considered reasonable. 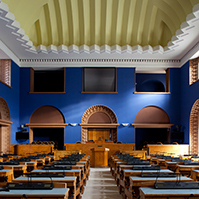 The Economic Affairs Committee had introduced seven motions to amend to the Bill during the second reading which concern the resolution of disputes under the Building Code. The motions to amend also cover the grant of a sublease of a use of land legalised by the obligation to tolerate and compulsory possession arising from law. As a result of the motions to amend, old power lines with a legal obligation to tolerate can also be used to establish the broadband network. The Bill is planned to be passed at the third reading on 18 January. If the Act is passed, it will enter into force on 1 March this year. Kristen Michal who took the floor during the debate supported the Bill. The Bill on Amendments to the Rural Development and Agricultural Market Regulation Act (340 SE), initiated by the Government, will provide for the legal bases for granting subsidies for promoting local life under the regional programmes transferred to the area of administration of the Ministry of Rural Affairs. 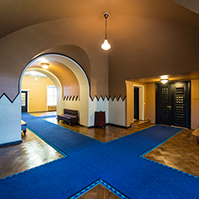 The regulation concerning the granting of state aid, de minimis aid and other aid will also be updated and specified. The amendments relating to the implementation of regional programmes and the grant of state aid concern in particular the activities of the implementing authorities, meaning the bodies granting aid. The Bill will also amend the legal bases for the control measures against wild oats. Wild oats have become hard-to-control weeds in Estonia that can spread quickly and cause significant economic damage in cereal fields. Wild oats can be controlled effectively if they are controlled in an integrated manner throughout the whole agricultural sector. 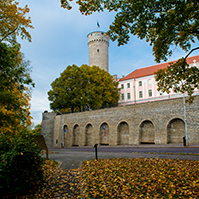 The current procedure does not help control the spread of wild oats fast enough, and its spread has not decreased in Estonia. To more effectively stop the spread of hard-to-control weed, the bureaucratic obligations of farmers to notify the Agricultural Board of wild oats and to draw up a wild oat control plan will be eliminated. Instead, it will be possible to begin to control a dangerous weed as soon as it appears in the field. The amendments relating to the control of wild oats will enter into force as of 1 April 2017. The Bill on Amendments to the Penal Code and Amendments to Other Associated Acts (adopting a stricter attitude towards driving a vehicle while intoxicated) (328 SE), initiated by the Government, will provide for a stricter punishment for causing a traffic accident with serious consequences in a state of intoxication. Mandatory shock imprisonment will be prescribed for repeatedly driving a vehicle in a state of intoxication. The duration of the withdrawal of the right to drive prescribed as a punishment for driving in a state of intoxication will be brought into better conformity with the gravity of the offence. The Bill will stimulate first offenders to refrain from new offences, and will create the possibility to be released on parole from a punishment for a misdemeanour and, under certain conditions, to keep the right to drive. In the event of exceeding the permitted alcohol level, it will be possible to order the offender to treatment, training or a social programme for the period of probation. In order to change the attitudes of passengers in the vehicle of a driver in a state of intoxication in view of the general wellbeing of the society, but above all in the interests of their own life and health, additional regulation will be provided for in regards to both traffic education and the attitude of passengers. The Bill will provide for additional necessary elements of a criminal offence for the case where the driver who has caused a serious traffic accident leaves the scene. The Minister of Justice Urmas Reinsalu gave an overview the main measures to reduce drunk driving provided for in the Bill. 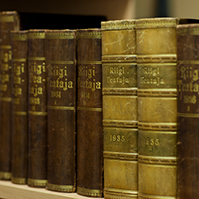 Reinsalu said that the Bill would raise the maximum punishment in the event of a traffic accident with serious consequences caused in a state of intoxication. If at present the maximum punishment is up to five years, then the Bill will provide for three to twelve years. The minimum term of three months will be provided for the withdrawal of the right to drive as a supplementary punishment. “In the event of repeated driving in a state of intoxication, a part of the imprisonment will have to be enforced, but the length of the imprisonment will be for the court to decide. It may be a few days, a few weeks or a few months. This is the ‘shock detention’ method for the riskiest and most dangerous group,” Reinsalu said. “The aim is not that prisons would be crowded with recidivist drunk drivers; the aim is that the proportion of people whose behaviour is dangerous to the public would diminish in the society,” Reinsalu added. In the opinion of member of the Legal Affairs Committee Hanno Pevkur, thorough work must be done on the Bill in the Legal Affairs Committee during the second reading. Mihhail Stalnuhhin, who took the floor on behalf of the Centre Party Faction in the debate, the Centre Party Faction supports the Bill. 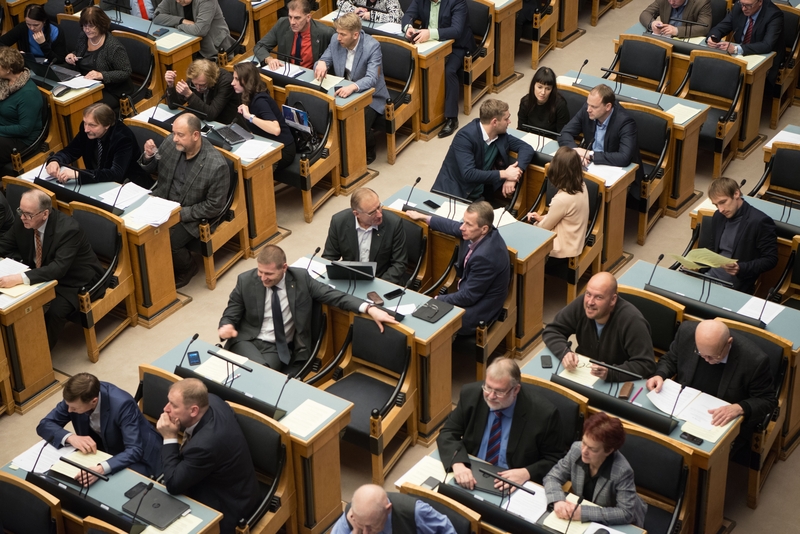 Urmas Kruuse, who took the floor on behalf of the Reform Party Faction, deemed it necessary that the right of discretion when imposing a punishment be reserved for the court. He did not support automated punishment that does not take into account any of the surrounding nuances. In the opinion of Jüri Adams, who took the floor on behalf of the Free Party Faction, judges should not be deprived of the right of discretion in the imposition of punishments. In his opinion, attention should be paid to youth education or analogous programmes. 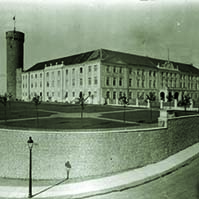 The Bill on Amendments to the Military Service Act, the Imprisonment Act and the Code of Misdemeanour Procedure (346 SE), initiated by the Government, will provide for the possibility that if disciplinary arrest is imposed on a serviceman, he or she can serve it also in a detention house of the police, besides the detention houses of the Defence Forces. The nearest detention house of the police will be chosen for execution of an arrest, where possible. Lodging in a detention house will be organised by the Defence Forces, and the cost of detaining a serviceman under arrest will also be compensated from the budget of the Defence Forces. An estimated up to 100 servicemen per year are sent to the detention houses of the police to serve a sentence, and the average duration of a sentence is seven days. The main reasons for punishment by detention are use of alcohol or drugs; unauthorised absence from service; use of violence in military service; embezzlement of cartridges and imitation devices obtained in the course of military training; and repeated disobedience. The amendment will, above all enable, more purposeful use of state resources. By using the detention houses of the police, the Defence Forces will not have to additionally invest in the construction or maintenance of its own detention premises, and personnel costs will also be saved.